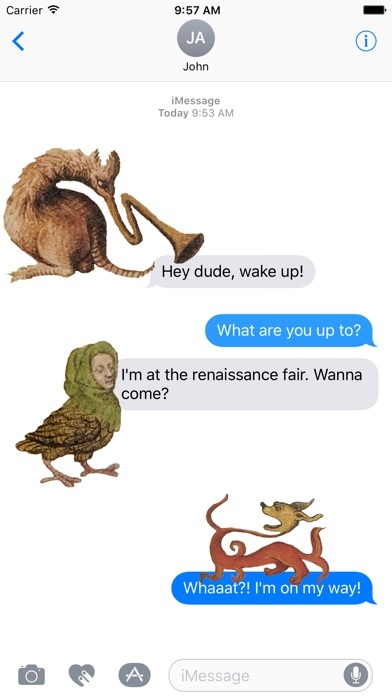 Add medieval madness to your conversation! 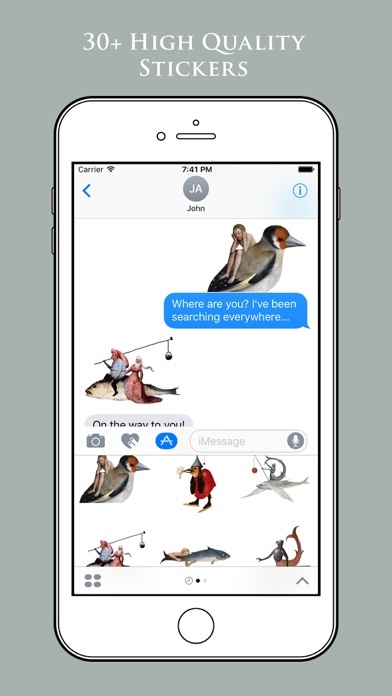 Specially designed to send to your friends and stick all over your text messages. 30+ High Quality stickers. 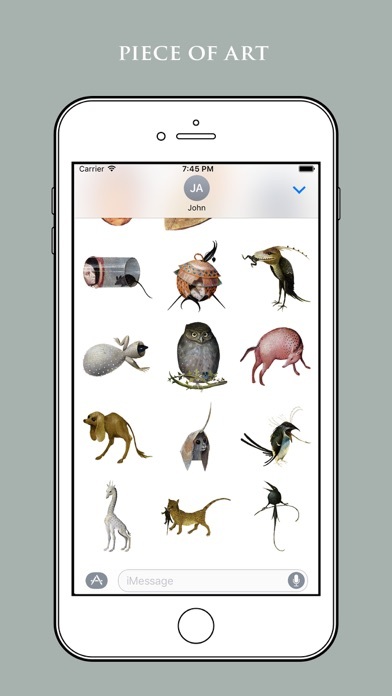 After you buy it you will find the stickers when you open IMessage, the app doesn’t show up anywhere else, at least that’s how it is for me. I wish the stickers were animated. These are amazing. Look closely at these to enjoy them in all their glory. If your friends don’t understand and appreciate how incredible these are, enroll them in remedial “turn your brains on” classes. Hell was a late addition into or fabrication for Christianity- sorry folks, that character referred to as Satan or the Devil in the Old Testament was easily translated as “adversary” and he was a late insertion into Matthew. 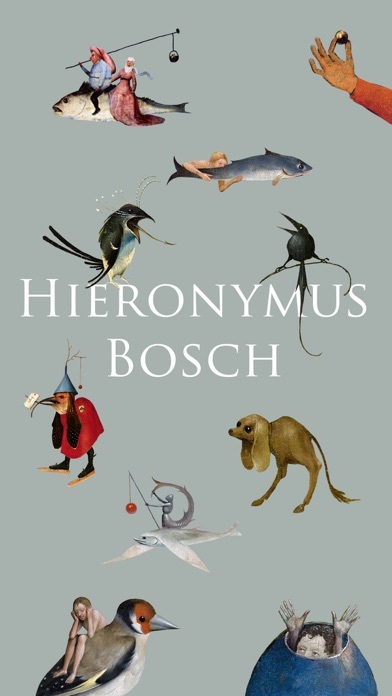 Hieronymous Bosch’s images are great for visualizing those hell scenes that scare the devil out of people and are therefore a lot of fun to use; a lot more fun than the Christian crosses, impossible ark (no, gods and Jesus couldn’t do it (yes, I’ve heard eager Christians stick Jesus back into Genesis)) and 10 favorite of the 500 some commandments sticker apps that are boring as hell. (Can someone tell me why an LDS sticker app has a mason jar in it? For the honey?) The app works great and I’m happy every time a developer doesn’t do a primitive, awkward keyboard... I’m unhappy when people use a keyboard and say “emojis”. 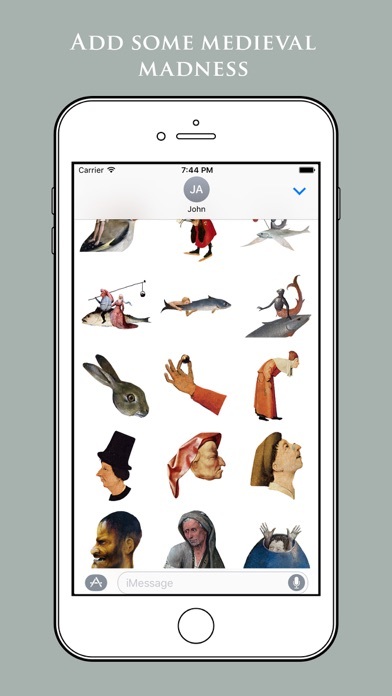 The plural of emoji is “emoji”. These stickers are the dopest on the market. I’ve pretty much given up emojis and just use this and medieval rabbits. I just wish there was more. Especially faces. Like maybe a laughing one and a few happier ones. Everyone needs these. 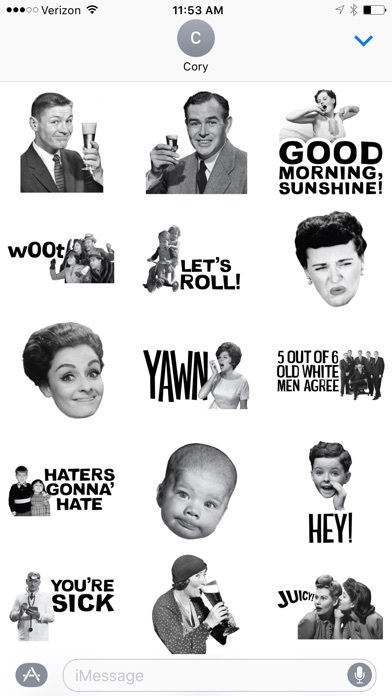 Very unique, no other sticker packs like it. Can't wait to see future updates. Definitely recommend these funky stickers!